Parallel hollow shaft encoders by Industrial Encoders Direct. 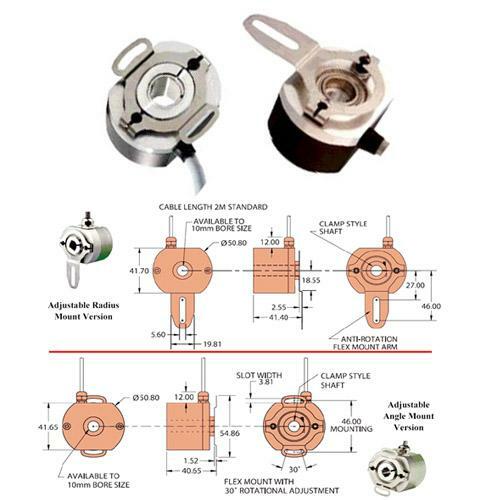 UK & Worldwide specialists & suppliers of absolute parallel hollow shaft encoders. Whether its an emergency encoder repair or replacement, Industrial Encoders Direct UK specialists are happy to assist. Parallel hollow shaft encoders can be mounted directly to the drive shaft without the need for a flexible coupling. The parallel information can be produced in various formats including Binary, BCD, Gray Code, Excess Grey, Natural Gray and even special features such as latched data and parity bits can be produced too. Such technology can also be used to produce various formats of parallel data associated with Turret encoders which are often hard to find. Please click here to download the 51XA Datasheet The Absolute Single-Turn 51XA Series provides a solution to a wide variety of industrial applications requiring parallel ‘Absolute’ position information. For further information, click Product Enquiry below.